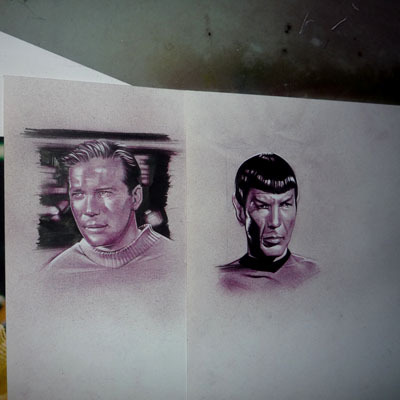 The Star Trek cards are coming along nicely and a new Phoenix print is up for sale. Pick it up here - Link. I had lunch with my old art buddy Sean Tiffany (The Sean Tiffany of the awesome comics, Exit Six and Oil Can Drive, yeah, that one - Link) anyway we literally talked each others ears off. So anyway, I'm going to cut this one short cause, I've just got nothing left to say.